9 Key Factors You Should Consider When Buying a Commercial Dishwasher. Almost anyone who has sat down to enjoy a meal at a restaurant, bar or cafe with friends or family is likely to have experienced the disappointment and anger felt when your meal is served on a dirty plate or with a tarnished set of utensils. Many people, understandably react by making sure the owner, waiter or waitress is immediately made aware of just how disappointed they feel. As a business owner or service manager you no doubt remember the embarrassment of dealing with such an occasion, especially if the customer is somewhat unforgiving. Nobody wants to deal with irate customers, nor risk a bad review on social media or lose that all-important long-term customer who has been a regular at your venue for many years. We believe behind the success of every great restaurant, cafe or bar is the tireless commitment of its staff and the quintessential kitchen appliances which aid their creativity and productivity. 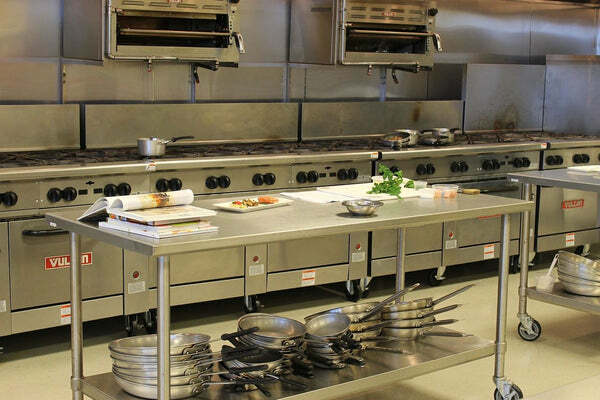 The commercial dishwasher is one appliance that has earned its place in today’s busy kitchens. We have put together this intensive guide to help you more easily decide which commercial dishwasher best suits your business. The benefits of owning a commercial dishwasher. Over the years, commercial dishwashers have become increasingly important to the foodservice industry and, for a good reason to, they are faster, more economical and do a better job at cleaning your dishes without complaint. With so many benefits you could be wondering why you’ve hesitated for so long in purchasing a commercial dishwasher for your business. The good news is that it's never too late to act unless you fail to respond altogether. So without further delay, we are going to delve straight in and discuss the most critical factors you should consider when purchasing a commercial dishwasher. It may seem to be an unlikely place to start; however, in the majority of countries, the implications of failing to consider the health and safety of your customers has grave consequences. When it comes to meeting the sanitary requirements in the food service industry, there are obligations which every business owner must adhere to in safeguarding the health of the customers they serve to avoid falling foul of the law. Hygiene plays a vital role in our daily health. When dining out at a restaurant, cafe or bar, there is an expectation that the food we eat is not only prepared correctly but also placed on clean and sanitised dishes. One of the most significant issues with hand washing dishes, glasses and cutlery is transference. Transference can often occur when washing with unsanitary water, poor rinsing and/or drying habits. Dishwashers act as the best preventive measure to guard against the growth and spread of organisms that cause foodborne illness. Dishwashers reign supreme with their ability to clean dishes, pots, glassware and utensils quickly while delivering the results that meet the high standards set by the Food Authority which provides some essential tips on how to sanitise dishes in your workplace. For uniformity, there are standards in the marketplace which all commercial dishwashers are required to meet to ensure sanitary requirements are met. Water temperature and/or the use of sanitising agents within the water are two ways in which dishwashers sanitise dishes. Commercial dishwashers use hot water in the washing process, the wash temperature ranges from 110° F to 140° F depending on manufacturer and model, a temperature which is not sufficient enough to kill bacteria. Wash cycles where the water temperature falls below 140° F, additional sanitises are added to the water to ensure that dishes indeed sanitised and bacteria free. High-temperature dishwashers have wash cycles where the water temperature exceeds 145° F intended to kill bacteria without the need for water sanitises. It should be noted, however, that pre-rinsing of dishes is an important step to ensure the integrity of the wash and that all bacteria is killed. Selecting the right commercial dishwashers for your business often depends on the needs use for the machine, such as size and capacity, but also important is its ease of use and the speed and efficiency. Commercial dishwashers can be categorised into one of four main categories. Glasswashers have to balance the task of effectively cleaning glassware while also guarding against breakages. For this reason, glasswashers typically have a power output somewhat similar a regular dishwasher, however, feature a more gentle and targeted water flow to guard against breakages while ensuring an optimal cleanse cycle. Glasswashers are often designed to fit easily into the kitchen workspace, for this reason, most are under counter solutions; however, some manufacturers also make large, standalone models. Wash large quantities of glassware at one time. Reduce breakages of your delicate glassware. Hygienically cleans your glasses and leaves them streak-free, ready for use. Glasses dry quickly, perfect for busy restaurants or bars. Under-counter dishwashers are typically the best choice for small cafes, bars or small restaurants that have limited space. Unlike their larger counterparts, under-counter dishwashers have less rack space than their larger counterparts and thus have less wash capacity, an important consideration for busy kitchens. Affordable and powerful enough to handle the majority of small businesses needs. The primary difference between a passthrough dishwasher when compared to under-counter models is its ability to wash considerably more dishes on an hourly basis. Furthermore, it is possible on some passthrough dishwashers installed an overhead spray system intended to pre-rinse dishes before entering the wash cycle. The overhead spray system is designed to increase wash efficiency, delivery better results while also decreasing wash time. Passthrough dishwashers tend to consume significantly more energy and water than their under-counter systems. However, the negatives are quickly surpassed by the passthrough dishwashers versatility and time savings by placing fully stacked racks of dishes into the machine and retrieving them just moments later, at times in as little as 60 seconds. Passthrough dishwashers can wash in the vicinity of up to 1,000 dishes per hour. Rack conveyor dishwashers are built to meet the needs of large restaurants, bars and hotels and have the innate capability to handle insane volumes of dirty dishes with ease. You will be amazed that even in the busiest of kitchens the enormous quantities of dirty dishes these dishwashers can chew through. Just load up, drop the hood and run the cycle, In just mere minutes these machines will run through their prewash, wash, rinse and dry cycles without fuss. Dishes emerge totally dry, residue and streak free, ready to serve. Insulated units minimise heat loss designed to speed up the drying process and save energy. You can find a great example of a premium rack conveyor dishwasher on the Norris website. Norris has been manufacturing quality, commercial dishwashers for over 60 years and we recommend checking them out if you are located in Australia. As one of the most significant and costly investments you’ll make in your kitchen, it's essential that you choose the right dishwasher with consideration for your current and future business requirements. Spend a little time scouting for the best location for your washer before purchase, considering others working in the vicinity such as chefs, kitchen hands, waiters and/or waitresses. Consider that busy kitchens can quickly become choked if the washer location interferes with the flow of traffic in the kitchen. Cramped kitchens can result in accidents or tempers flaring which is not a great look for your business. The size of the washer you purchase will typically define the appliances output, so by underestimating the size of your machine may inevitably result in longer backlogs of dirty dishes, longer wait times and frustrated customers. Fortunately, commercial dishwashers have efficient, one button or two-step controls which make them very easy to use. Simple operation is an essential consideration for busy kitchens where duties are often shared and everyone pitches in to ensure the smooth running of the kitchen workplace. Although simple to use, consideration should always be given to the type of dishwasher purchased, pre-washing, loading and even end-of-day wash cycles to ensure that your machine keeps performing at it’s best, reliably, day after day. However, also consider that even the simplest of solutions require a systematic and sensible use policy for operation. For those who are familiar with the speed and tension that goes with working in a busy kitchen, consider that the cycle time of your dishwasher will become increasingly important the busier your kitchen gets. Speed and capacity often go hand-in-hand. Naturally, the bigger the size and the quicker the cycle-time translates to more dishes which can be cleaned, faster. Wash cycles on commercial dishwashers typically range between 1 and 2 minutes which is mind-blowing fast. Often the speed difference is less of a consideration than the capacity of the washer but for some busy kitchens those crucial seconds do add up. Kitchens are noisy, the clatter of dishes and conversations are expected, however constant background noises have been shown to impact on workplace health directly. Background noises can raise stress levels, cause hypertension and affect sleep, so it makes a lot of sense that you consider the noise output on the machine before you buy. Manufacturers openly publish the noise output of their machines (measured in decibels) with the noise level increasing with machine size. Noise not only affects the health and wellbeing of your employees but also can impact on customer comfort if the dishwasher is nearby. For the majority of businesses owners, affordability is a significant factor in the purchase decision. Business owners are often tempted to focus too heavily on price and neglect critical factors such as size and capacity. Purchasing a machine that is too small for your business needs can have a lasting impact on your kitchens workflow and your ability to serve your customers promptly and perhaps your business profitability. Most small businesses will only need the wash capacity of an under-counter dishwasher whereas a bar, hotel or busy restaurant is likely to require the heavy hitting capacity of an upright/conveyor dishwasher. It is difficult to anticipate the future needs of a newly established business, so there are times when purchasing a commercial dishwasher may not always be in your best interests. In these circumstances, consider the benefits of a renting or leasing your machine in the short-term and look to purchase a machine when your business needs are more clearly defined. Energy and water costs are another consideration in the running of your dishwasher. With electricity costs rising over 120% over the last decade alone it’s no wonder why it is a hot topic for many. Depending on the size, capacity and wash cycle of your dishwasher, energy consumption can vary significantly, especially when factoring in drying units. In Australia, the State governments released an initiative making informed decisions easier through the creation of its Energy Rating Label system which was introduced in NSW and Victoria in 1986. In Australia, there are requirements for the use and discharge of commercial trade wastewater. Check with the local council to ensure that your business complies with all the provisions intended to ensure that fewer pollutants enter our environment. Lastly, check to see if there are any limitations in the supply of power to your premises, larger machines can have significant power requirements and some premises in non-commercial areas do not have an adequate infrastructure to power some dishwashers. When purchasing it also a good idea to be fully aware of the manufacturer warranty, any specific terms and conditions or acceptable use agreements. As a general rule of thumb, most manufacturers offer 1-3 year warranty periods on their dishwashers, the terms varying depending on the machine purchased. In Australia, consumers have additional protections under the law which acts as an extension in some cases to the manufacturer’s implied warranty. The consumer guarantee covers the repair, replacement or refund of a product should it fail to meet these consumer guarantees. We suggest making yourself familiar with these protections. Support is another area that is worth investigation. Ask those, all-important questions before you commit. Ask, what happens should your machine break down, how quickly can your machine be repaired and if there are delays are their temporary replacement options while your dishwasher gets fixed. Ask your manufacturer about the availability of spare parts for your commercial dishwasher to ensure that your machine is going to serve your business long into the future. The hospitality industry can be a very harsh and unforgiving industry. Customers have a reasonable expectation to be served with clean, sanitised dishes and cutlery - their satisfaction is paramount to your business success. Dishwashers offer a consistent standard of cleanliness, wash after wash, a result that cannot be realised through hand washing. Commercial dishwashers make a significant contribution to the smooth running of your business, representing an investment which over the long-term provides your business with considerable savings of time and money. When you're ready to purchase a commercial dishwasher, consider a manufacturer synonymous with quality, Norris is one such brand, trusted by industry professionals for over 60 years. Give your business the best chance of success by investing in an appliance that will stand the test of time. If you're in the friendly state of Victoria, why not give Ian Boer a call, they are specialists in quality refrigeration and catering equipment and can help you purchase a Norris Commercial Dishwasher that's right for you. Alternatively, give us a call at Norris direct, we'd love to hear from you. We'll answer any questions, recommend the best washer for your needs and put you in touch with an agent near you.